Transcript of a discussion on how social media and business networks have taken the lead in shaping perceptions about brands, products, and companies. Listen to the podcast. Find it on iTunes. Get the mobile app. Download the transcript. Sponsor: SAP Ariba. Dana Gardner: Hi, this is Dana Gardner, Principal Analyst at Interarbor Solutions, and you’re listening to BriefingsDirect. Our next innovation thought leadership discussion focuses on building a modern marketing organization. Marketing today is a different game. Today’s buyers are more connected and informed than ever, and that’s creating major upheaval in the way companies promote their brands. Social media and business networks have taken the lead in shaping perceptions about brands, products, and companies -- and savvy businesses are embracing these new channels and technologies both to increase their brand awareness and to drive sales. We’re here with two experts to talk about these changes and how they are shaping the future of marketing. 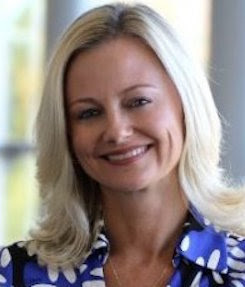 To learn more, please join me in welcoming Alicia Tillman, Chief Marketing Officer at SAP Ariba. Welcome, Alicia. Alicia Tillman: Thank you so much, Dana, very happy to be here. Gardner: We are also here with Pete Krainik, Founder and CEO of The CMO Club. Welcome, Pete. Pete Krainik: Thanks, Dana and Alicia, good to reconnect again. Tillman: Yes, of course, you, too. Gardner: Let’s begin our conversation at a fairly high level. What are the trends, the competitive pressures, and the technology changes that are prompting companies to have to seek new and better ways to market themselves, Alicia? Tillman: There are two things, Dana. First, when we think about trends or even new ways to market in particular, we're faced with the fact that social media, and networks have taken the lead in shaping perceptions about brands, products, and companies. On one hand, there’s no shortage of information, and that’s a good thing. But on the other hand, it’s really causing companies to get out ahead of that as quickly as possible, because the reality is that today’s buyers aren't struggling to find information. And so many buying decisions are made about companies and products before any interaction with a member of the sales team. Companies are recognizing that all of the channels in the social media space that companies are going after to find information is key. Making sure that marketers are driving information in a consistent manner across these channels will aid in feeling as though your company’s value proposition and brand are being embraced and accepted in the ways that you want them to. My second point is in terms of the competitive pressure. All companies are mostly trying to compete on a product, a piece of technology, in a lot of ways, and oftentimes your competitors are saying they already have or are about to innovate on the same thing. So companies need to force themselves to innovate beyond products. There are a lot of opportunities, in particular, thinking about how you differentiate on things such as thought leadership or standing for a particular cause. How do you take a product and how do you use it to benefit the world in terms of driving higher good in some way? So between social media and networks, embracing those channels and then separately thinking about how you differentiate beyond just the basics of products are certainly the opportunities that companies are faced with today. Gardner: Pete, with social media, we're more exposed than ever. People can point at whatever they see about brands or companies. How is this trend shaping the new marketing and competition? Krainik: I think Alicia is spot-on. I host dinners with chief marketing officers (CMOs), and I'm chatting behind doors on these issues around the new competitive landscape. If you look at the pressures faced by CMOs, you still have the same process or the same thought -- I need to sell more products, I need to differentiate myself, I need to get leads, I need to close, I need to build the brand. Those things and concepts haven’t changed, but you have a whole new wave of extremely agile competitors now, like Uber, like Airbnb. How is the cloud impacting that? You have the new players that you never had to deal with before. You have new media channels, new influencers. In the past, media mostly meant working on press releases. But the whole world has changed. You talked about it, and Alicia again talked about social. And then, this whole issue of speed of change and how to keep up with it is interesting. How do I, as an organization, keep up with all the changes? Marketing is completely different than it was five or 10 years ago. There are just too many choices, too much noise, too much outbound. CMOs are getting hundreds of emails a day from someone selling some product and they're not even looking at it. Those kinds of pressures are building, as Alicia said, and taking the competition to the next level. Those things are top of mind right now for CMOs. Gardner: Alicia, in this environment of disruption, of fast-paced change, of so much noise and information, you recently completed a significant update of the Ariba brand, and you’ve launched a new name and logo. Why did you do that at this time and how did you go about that differently than you would have done 5 or 10 years ago? Tillman: Ariba was founded some 18 years ago, and at the time, the company had set out on a mission to build a single solution to help companies manage their spend. If we reflect on the past 18 years, you see all the ways in which our business has evolved, in which buyer needs and the economies have evolved, and how our business has worked to evolve and be ahead of that. Today, Ariba is the world’s largest marketplace for all business-to-business (B2B) transactions. We have two million companies and $1 trillion in commerce that run through the Ariba Network. When we think about some of the significant change that has happened notably in the past four years, number one, we were acquired by SAP. SAP is a global leader in enterprise application software. It has an incredible brand, and is an incredibly sound and operationally and financially stable company known throughout the world. It’s really important to us to take that brand reputation into our identities. First, we've added the SAP name to our brands, now calling ourselves SAP Ariba. And secondly, the logo, the mark, or the bug as some people like to call it, that fits alongside the company name is equally important. The visual representation of our brand needs to well support the business we're in and the value proposition we offer. Pete said it really well. When we think about the marketplace that we're in today, there are new competitors, new influencers, and so many choices that we have an obligation as marketers to help buyers clear through the clutter, understand where the differentiation exists within companies, and associate themselves with a company that is most relevant to their needs. So, we evolved our logo and made it into a mark that really showcases our customers, which are both buyers and sellers. Within our logo there's a connection there that’s reflected to support how Ariba brings those two buying populations together. In addition to that, we've worked to adapt a new tone in our messaging. Messaging got simple and clear to piece point about all the choices that exist. You’ve got to focus on a simple and clear message, and one that is very understood and very relevant for your customers. Gardner: Pete touched on this issue of so much information available, and research confirms that consumers are looking at multiple channels when they make a purchase. They have much more of an ability to do research and to get social commentary. I myself find, in my own buying, that I'm ready to push the button to buy something, but then I'll glance at the comments or some of the recommendations, and actually back away. So this is really a big deal. So how do we, as marketers, think about different ways to accommodate these new behaviors by buyers, and how do we then provide information to them as sellers to help them along the way? Krainik: One thing some of the top CMOs or top brands are doing is moving away from a campaign-focus to 360-degree coverage. I was a CMO before I started The CMO Club, and the profession has moved beyond kind of the "blah, blah, blah" to true focus. There’s the ability to make sure that the content is relevant, that the stories are there, that you’ve identified the advocates, and people underestimate the value of that. Everybody is driven by mobile now. It's truly a mobile workforce. We're always doing everything on mobile. You talked a minute ago about how you check on social media or with people you know or respect, and they say, "This product is good, this product isn’t, or I had a great experience here." How do you spend the time making sure you know who those advocates are, who the influencers are, how to engage employees, and really focusing on getting to that. It’s such an important thing that I think people don’t think about as much. Another piece that there’s not enough focus on: Everybody is driven by mobile now. It's truly a mobile workforce. We're always doing everything on mobile. So making sure when we talk about multichannel and we talk about going where the customers are, we need to be sure it’s in the format they want as well. We want them saying that we have this great website, this great digital space. If you’re not going to mobile, then you’re missing the boat. Gardner: Alicia, anything to offer on ways marketers need to do things differently to accommodate these new buyer behaviors? Tillman: I think a lot about the power of consistency and how marketers need to have their finger on the pulse of the channels that their customers are getting information from. Pete’s organization, The CMO Club, hosted a fantastic CMO roundtable a couple of weeks ago where the topic was how to stay ahead of the digital transformation, and how marketers are embracing digital transformation. One of the questions was how much of our budget is dedicated to a digital platform to support our marketing? Certainly, the percentages were quite high, but we also found that there is still budget being invested in your more traditional channels, including things like print and events. Events in particular, because of the face-to-face communication that occurs and how business is still done over a handshake, and we can’t underestimate that. Striking a strong balance between your digital marketing channels as well as your traditional marketing channels is key. Keeping the message consistent in how we market between those channels is also quite key, and then understanding the various buyer personas that you speak with. If you’re creating a digital campaign for the CIO audience, the messages are going to be different from how you would market to a chief financial officer (CFO) audience. As an example, and it’s really important, back to an earlier point I made around relevancy, you’ve got to stay consistent, but you also have to make sure you’re being relevant, and then taking into account a strong balance between the new digital channels that exists, but also not underestimating the power that still remains with some of our more traditional channels. Krainik: Alicia, I think you're spot-on. I loved the comment about staying true and consistency, and you’ve demonstrated that with what you’ve done. I know you talked about what we actually see in the market. It’s the importance of creating the brand story and being consistent to that story. It’s more important now than ever, because then you can get your employees, your advocates, and all your stakeholders supporting that brand story, regardless of the channel. Brand consistency is more important now than the actual advertising campaigns. You’ve done a great job and I think you're spot-on with that. It makes the multichannel execution easier, if you’ve got that nailed, as opposed to chasing it campaign to campaign. Brand consistency is more important now than the actual advertising campaigns. Gardner: Well, Alicia, at this point, where we have these challenges, we're also facing some great new tools in the marketplace, ways to get more information, get customization, use big data, and leverage cloud models to extend our reach, but also to gather more information in better ways. Tell me what you think some of the strong tools are, and I am going to imagine that the SAP Hybris marketing suite is among them. Tillman: I'd start by ensuring that you have a strong marketing automation platform. It's becoming commonplace in most marketing organizations, large or small, for the past five years or so and it’s certainly growing in size in terms of marketing organizations that are raising the technology. Essentially, this technology allows you to automate the lead generation process to help you manage campaigns in an automated way, help you nurture the leads that are coming through your demand waterfall in an automated way. The leads that you’re handing off to sales are more qualified than they ever had been before. You have such an extreme ability to nurture these leads using digital campaigns in these automated ways. That’s my first recommendation: you need to pursue marketing automation technology. The other thing that exists within these technologies is not just an ability to help you manage your campaigns and manage the nurture strategies within them, but it’s also the data that these technologies provide. As you integrate them with your company's sales customer-relationship-management (CRM) system, it gives you really unprecedented abilities to show where the demand is being created, and how you can most effectively demonstrate the support of marketing to the ultimate growth of the pipeline, and then of course, to the growth of the business. So it is a must-have that you focus on that in particular. That’s the leading place that I would start. Then, there's all of that getting into the analytics. Every marketer should always be focused on measurement. Measurement is the sole thing that has enabled me to grow my team, whether that be headcount or investment. When you're not sitting across the table from your CEO or my president talking in terms of numbers and data that are showing the true impact as marketing’s existence on the companies thought of mind, you’re essentially not having a conversation, and you will not have an ability to grow your team. So I highly advise that you look at strong marketing automation and data and analytical structure to enable you to help support your programs. Gardner: What’s super powerful these days about the data is that we're not only gaining a 360-degree view of customers, but we're able to react in near real time, and then target them with precise customization. How are those tools being used, from your vantage point, that sort of feedback loop and an instant ability to know what a customer is doing, learn inference, compare that to other datasets and then offer something back to them, which really should engage them? Data is what needs to be at the backbone of your operations within the marketing organization, because it really informs everything. Tillman: Obviously, being part of SAP, I could spend all day talking about the advanced analytical tools that exist, and having the sort of in-memory computing technologies like S/4HANA, which is the backbone of SAP. These tools have the power to look at large datasets quickly. There are many cloud sales applications that work to provide customer information that marketers need in a central location, it’s available at a glance, and it’s delivered in context that’s truly most important for marketers. There’s so much flexibility in the cloud. Companies can pull together information in real time or live, as we like to say here at SAP, pulling from so many sources. Data is what needs to be at the backbone of your operations within the marketing organization, because it really informs everything from where you can innovate and where campaigns are having the most success, to what that next big thing is going to be to help propel the company forward. And that’s a big part of what’s the core of a marketing organization. Gardner: Pete, any additional thoughts about what you’re hearing from your CMO audience about use of these data tools? Krainik: I’ve seen a shift among CMOs in the last year to two years on how they approach data tools. They used to approach it by looking at the tools currently available and choosing one that catches their eye. Now, there are a number of really bright CMOs out there who are actually taking the approach of assuming that they have total visibility, total velocity, and can get total value at their fingertips from a design perspective, whether it’s for demand and lead generation or a campaign. So they start with that assumption, then they design what that ideal tool would be. And then they evaluate the tools’ capabilities and processes. By the way, what’s equally is important, I found out talking to CMOs is that you can have the great tools, but if you don’t have the right team and expertise to run it, post implementation, it can cause a problem. That’s an interesting approach. If you could have any piece of information what would like to begin with, what would you like to have to know about your customers? It just opens up some interesting ideas to really stretch the envelope versus force fitting, and I am sure, Alicia, you are seeing that too with some of your customers. Gardner: Alicia, looking to the future, what do you see as some of the greatest challenges that marketers are facing? I'm thinking the perhaps the user experience is going to become more important over time, but how do you see that? Tillman: There are a couple of things. The war to differentiate and to bring new opportunities, new leads, into the business is always going to be a reality for marketers. They're always going to need to have a very clear brand, a very simple message, and one that’s differentiated and relevant. So focusing on your brand story and ensuring that that brand story is consistent across all of the buying and marketing channels, and is relevant and is compelling is always going to be a reality for marketers, because your brand drives the growth of your business’s bottom line. It’s what fuels your pipeline; it’s what fuels the sale of your product; it's what enables you to tell your story around differentiation. So, there always needs to be a clear focus there. The other thing too, and I had mentioned this in one of my opening comments, is around this notion of differentiation and thinking beyond products in ways in which you can differentiate yourself. As an example, I work in a B2B space, but think about some of the best consumer brands in the world, and those that we support in our personal lives. Often, I like to reflect on the brands that I support in my personal life, and when I think about what the similarities are between those brands and why I am so loyal to them, not only are their products best in class, but they’ve actually put their products to use beyond what the day-to-day objective is. If you think of a brand like Tom’s or Starbucks, they have filled brand promises around where they source their materials, where they donate portions of their revenue. And when we think about the millennial population as one, but any buyer, there is a much greater desire for them to partner with organizations that stand for something versus ones that don’t. B2B organizations, in particular, have a tremendous opportunity to think beyond the level in which they’re competing with day after day, and think about what is that higher good. It’s really how we're taking our value proposition and using it to create higher good in the world around things that people care about and really mater at the end of the day. That’s the real opportunity for marketers. When we talk about visions, vision statements should be operational, and it’s really how we're taking our value proposition and using it to create higher good in the world around things that people care about and really mater at the end of the day. That’s the real opportunity for marketers. Gardner: Pete, what advice would you offer the CMOs as they think to overcome these challenges in order to reach this vision of a brand-driven and customer-centric world? Krainik: The two most important things are, first, that I would put my energies around making sure that I have a marketing organization that has the new marketing skills and new technical skills needed for success. Number one, get the best and the brightest. The other thing, in addition to the differentiation that was discussed, is this whole issue of ecosystem of innovation: creating an ecosystem, understanding how I am going to look to the outside to bring in new ideas, new startup capabilities, new energy. Those are the two essentials for success. If you don’t do those, I think people are going to be in trouble long term. Gardner: I'm afraid we will have to leave it there. You’ve been listening to a BriefingsDirect podcast discussion focused on how to build a modern marketing organization. We’ve heard how social media and business networks have taken the lead in shaping perceptions about brands, products, and companies. And we have learned how savvy companies are embracing these new channels and technologies to increase their brand awareness and drive sales. So, please join me now in thanking our guests, Alicia Tillman, Chief Marketing Officer at SAP Ariba, and Pete Krainik, Founder and CEO of The CMO Club. And a big thank you too to our audience as well for joining this SAP Ariba-sponsored business innovation and thought leadership discussion. I’m Dana Gardner, Principal Analyst at Interarbor Solutions, your host and moderator. Thanks again for listening, and do come back next time. Transcript of a discussion on how social media and business networks have taken the lead in shaping perceptions about brands, products, and companies. Copyright Interarbor Solutions, LLC, 2005-2016. All rights reserved. Is 2016 the Year that Accounts Payable Becomes Strategic?